The Sheroes Hangout Cafe is not a place like any other. It’s unique in the world. Customers are served coffee, of course, but the women who work there have a history of pain in their past. All of them are victims of acid attacks. It'is situated in a tourist area of Agra, known worldwide for the Taj Mahal, the tribute of a Mughal Emperor to his wife. But it represents another side of the relationships between men and women. The violence, that when it doesn't cause death, it’s life changing. Founded in December 2014 by the Stop Acid Attacks campaign and the Chaanv Foundation, the Sheroes Hangout Cafe is the symbol of a group of women who struggled to rebuild their lives after having been attacked with acid, the aggressions often perpetrated by a family member, or an acquaintance, or a neighbor. Like Dolly, 16 years old, disfigured by a man who lived next door to her, and who hit her while he was trying to hurt her sister. Or like Ritu, the victim of a plot orchestrated by 18 people, attacked in the street by two boys riding a motorbike when she was 17. They were paid by her cousin, because of a dispute between two families for the ownership of some land. For Ritu, Dolly, and their friends, Rupa, Neetu and Gita, who also work at the Cafè, Sheroes Hangout, the name born from the merger of the words ‘She’ and ‘Heroes’, is a safe haven, and at the same time, it’s a new, second family. 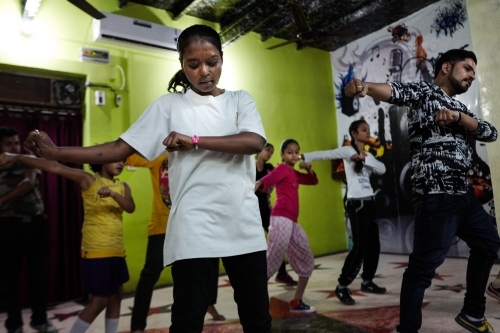 The place that has changed their lives, built to send the world a clear message: stop acid attacks. 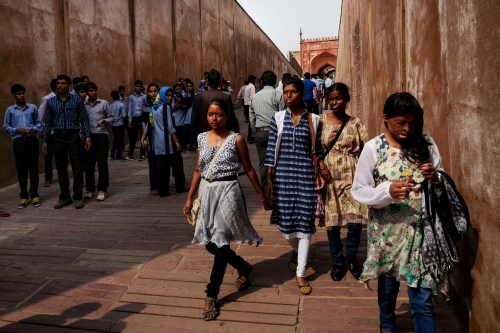 Starting from the Uttar Pradesh State, where Agra is located, and where, during the last years, took place many episodes of violence against women. 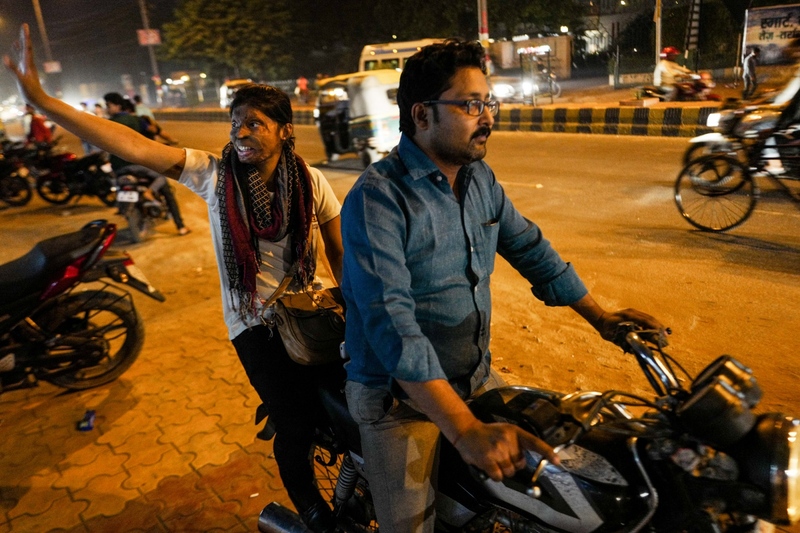 According to the Acid Survivors Foundation India (ASFI), last year, all around the country, 349 people, mostly women, had acid thrown on them in deliberate assaults, and more than a hundred cases happened in the Uttar Pradesh. But that's just the tip of the iceberg, because many victims don't find the courage to report what they have suffered. And that's why the Sheroes Hangout was born. Agra, Uttar Pradesh, India. 25 October 2015. 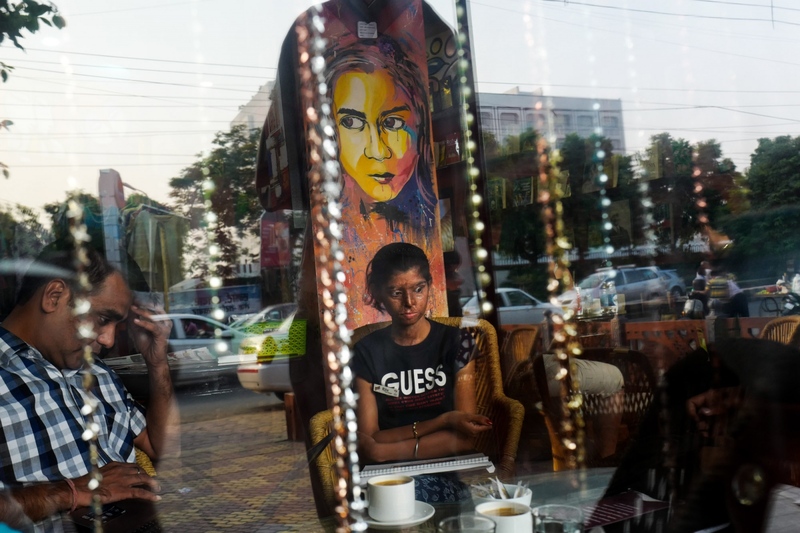 Ritu, 20, sitting inside the Sheroes Hanogut cafè. Victim of the plan of 18 persons, Ritu was attacked in the middle of the street by two guys on a motorcycle when she was 17. She works there with other four acid, attack fighters, to spread awarness about this tragic issue. Agra, Uttar Pradesh, 01 march 2016, A view of the Sheroes Hangout Cafè. Agra, Uttar Pradesh, India. 05 November 2015. From the left Dolly, Ritu, Nitu and Rupa, four activists of the Stop Acid Attack foundation, that work at the Sheroes Hangout Cafè, walking in the street. Agra, Uttar Pradesh, 27 October 2015. 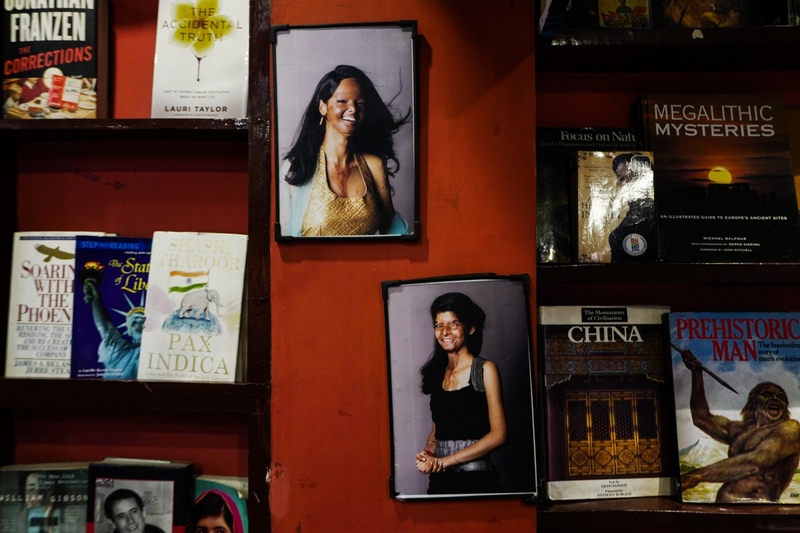 Two fashion potraits of Laxsmi and Ritu, inside the Sheroes Hangout Cafè. Lucknow, Uttar Pradesh, 08 march 2016, Ritu and Farah are getting ready to serve the food. Agra, Uttar Pradesh, India. 28 february 2016. Rupa, one of the Stop Acid Attack Fighters, teaches to a few customers, from all around the world, to dance, at the Sheroes Hangout Cafè. 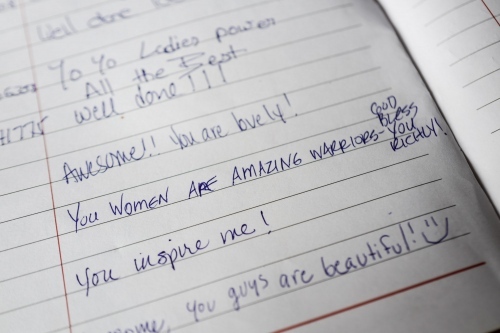 Agra, Uttar Pradesh, 01 march 2016, a particular of the guestbook inside the sheroes hangout cafè. 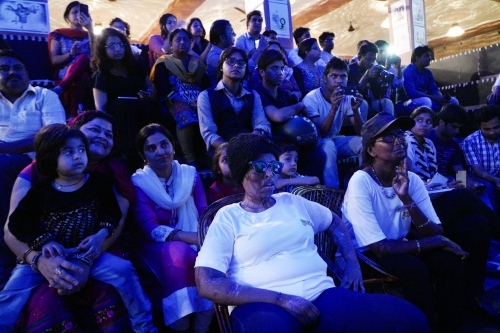 Lucknow, Uttar Pradesh, 08 march 2016, Rani is sitting among the guests during a projection of a documentary about the Stop Acid Attack NGO. Agra, Uttar Pradesh, 08 November 2015, Dolly is braiding Ritu's Hair. Agra, Uttar Pradesh, 03 November 2015, Ritu and Rupa, are going to work in the middle of the street behind their house in Agra. 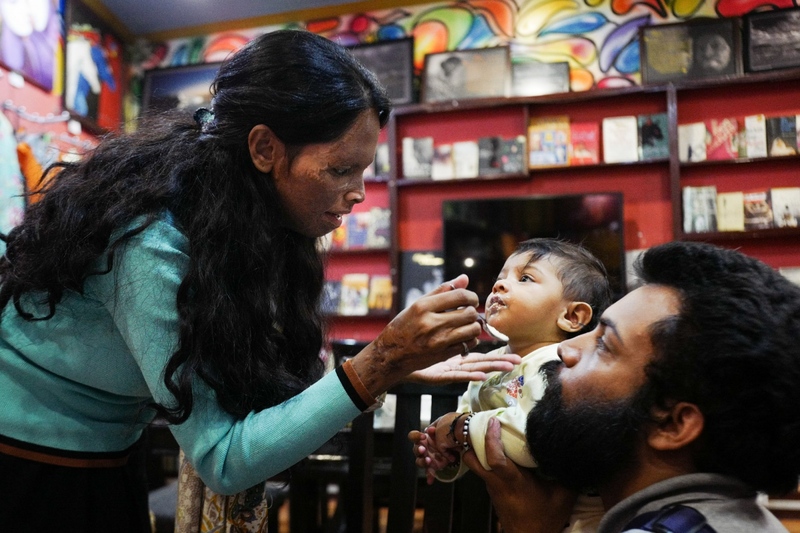 Agra, Uttar Pradesh, 24 February 2016, Sonyia painting a young customer's forehead. Agra, Uttar Pradesh, 27 October 2015. Rupa is sitting on a motorcycle with a volounteer of the Stop Acid Attack. Agra, India 03 november 2015. 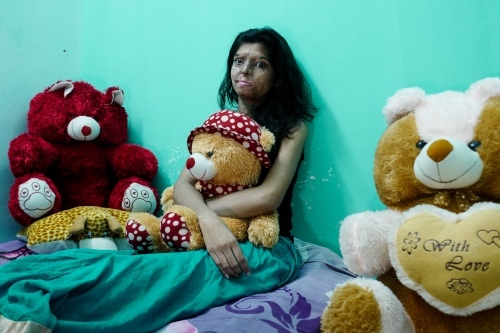 Ritu, 20 years old, posing for a portrait holding the teddy bear. This is a present from other members of the Stop Acid Attack campaign, who also survived a similar aggression. The gift was given to her the day when her attacker was sentenced to life imprisonment. Ritu was victim of a plot orchestrated by 18 people. She was attacked in the street by two boys riding a motorbike when she was 17. They were paid by her cousin, because of a dispute between two families for the ownership of some land. She used to play volleyball for the State team but now that she's blind from left side, she cannot play anymore. New Delhi, India. 26 October 2015. Rupa and Atul, one of the activist of “Stop Acid Attacks”, bargaining over fabrics in a Sikh shop in the Chandni Chowk market in New Delhi, India. Agra, Uttar Pradesh, 02 November 2015, Ritu playing volleyball in front of the Sheroes Hangout cafè. 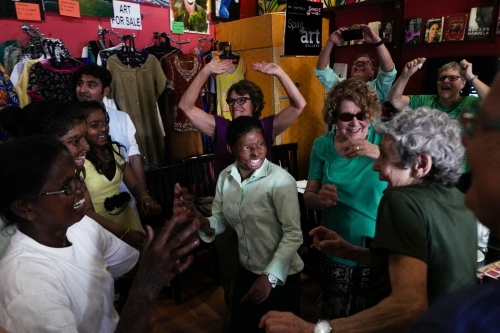 Agra, Uttar Pradesh, 02 November 2015, Dolly at her first dancing lession. She would like to become a dancer. 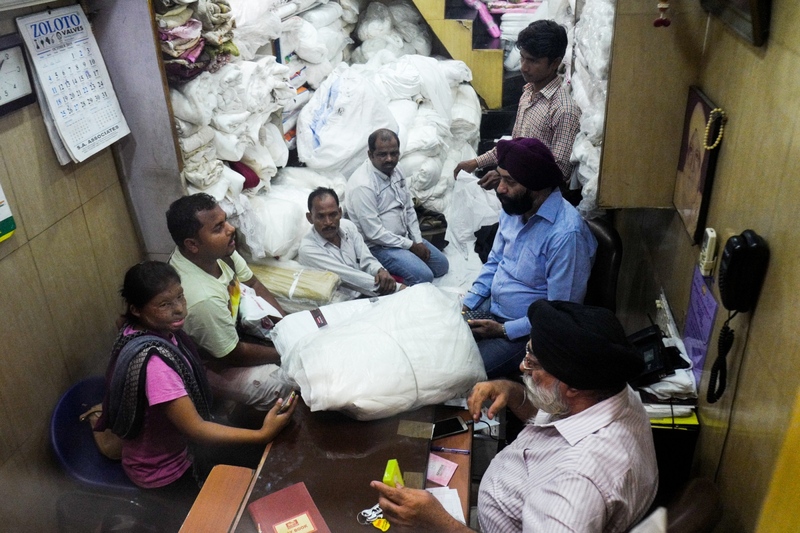 Delhi, 26 October 2015, Rupa talking at phone in chandni chowk market, famous for its fabrics. Agra, Uttar Pradesh, India. 29 October 2015. Soniya, on the left, plays with Pihu, the baby of Laxsmi, on the right, at the Sheroes Hangout Cafè. 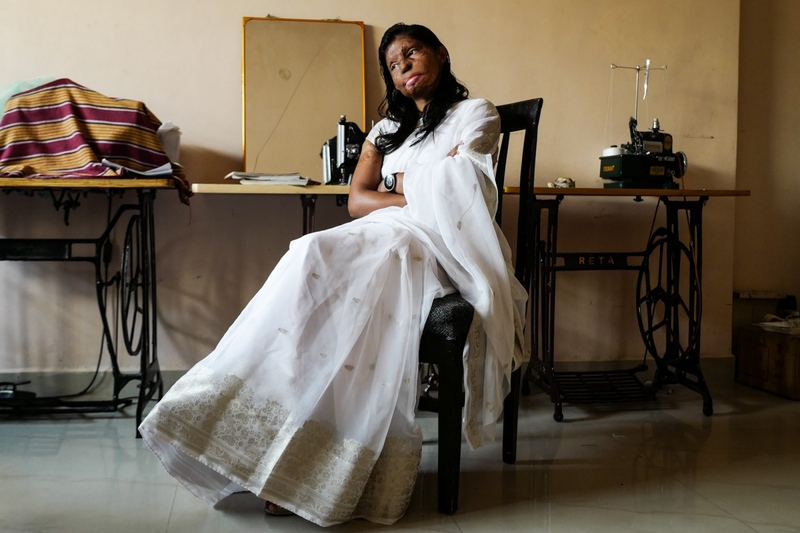 On the background two more activists: Dolly and Rupa, both Acid Attack Fighters. The women of the Sheroes Hangout decided to work at the cafè to raise awareness about this issue, but also to help other attacked women to start a new life. Agra, Uttar Pradesh, 05 November 20'15, After the operation Dolly needs to dry her face many times a day. Agra, Uttar Pradesh, India. 28 October 2015. 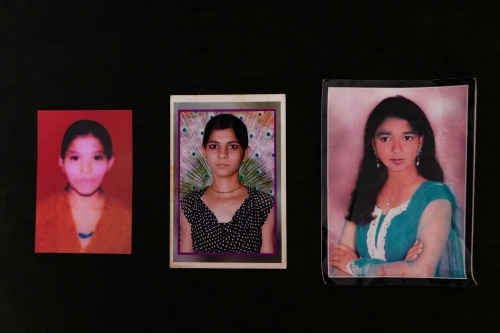 From the left, Ritu, 20, victim of a 18 people's plot, is the best friend of Rupa, 23, who is holding her hand. They live together in a safe house in Agra, India. Rupa is proud that after joining the Stop Acid Attack campaign, she stopped wearing the veil. 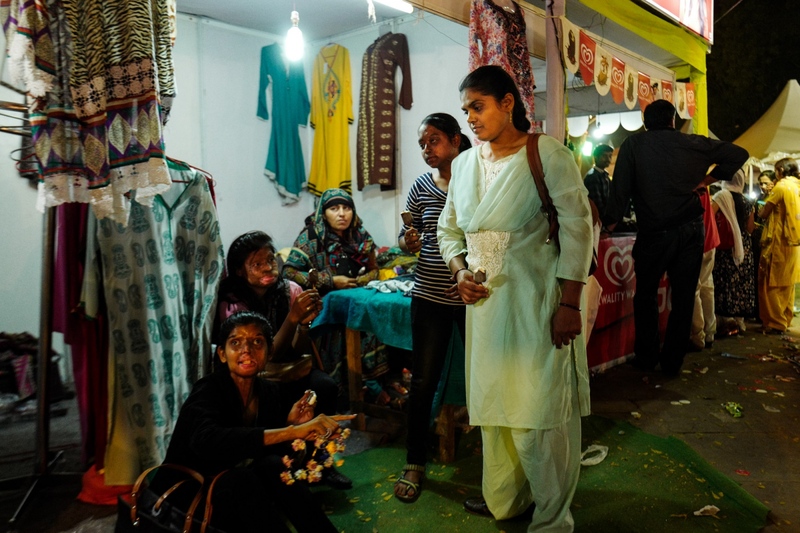 Agra, Uttar Pradesh, 01 March 20'16, From the left, Ritu, Rupa, Dolly hanging out during the taj festival. Agra, Uttar Pradesh, 24 February 2016, Dolly is decorating a cake before serving it at the sheroes cafè. Agra, Uttar Pradesh, India. 02 November 2015. 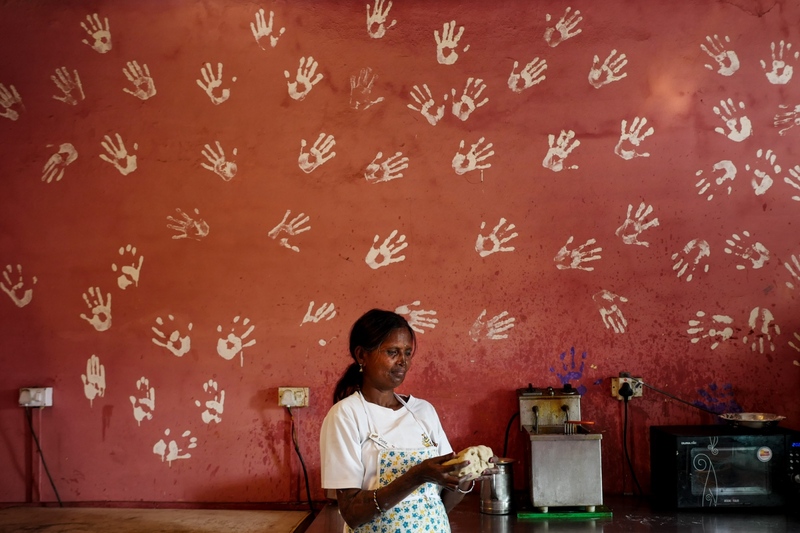 Gita, 45, the oldest survivor among the members of the Stop Acid Attack campaign, works in the kitchen at the Sheroes Hangout cafè. On the wall the imprints of all the survivors' hands. Gita poses for a portrait in the Kitchen where she's baking bread. Agra, Uttar Pradesh, India. 06 November 2015. Rupa pose for a portrait at home dressing a traditional Sari. 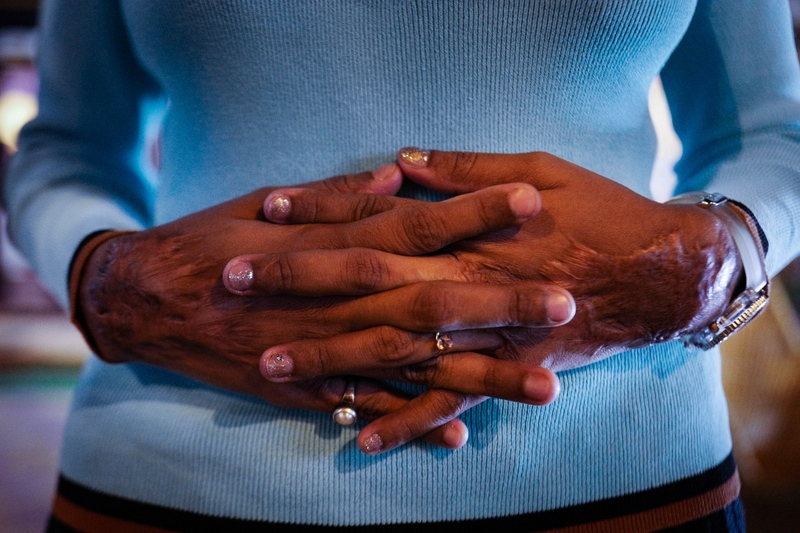 She wasn't attacked by a man, but by her step-mother when she was 17 years old. Her birth mother died when she was a child and everybody used to tell her that Rupa looked very much like her mother. 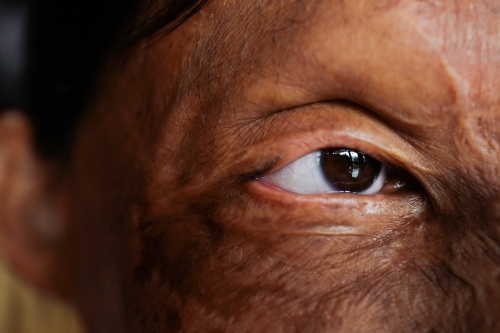 The second wife of her father resented her for this, so she decided to throw the acid on her face when Rupa was sleeping. Now at 23 years old, she owns a little boutique inside the Sheroes Hangout, where she sells her own handmade piece of clothes. Agra, Uttar Pradesh, India. 30 October 2015. 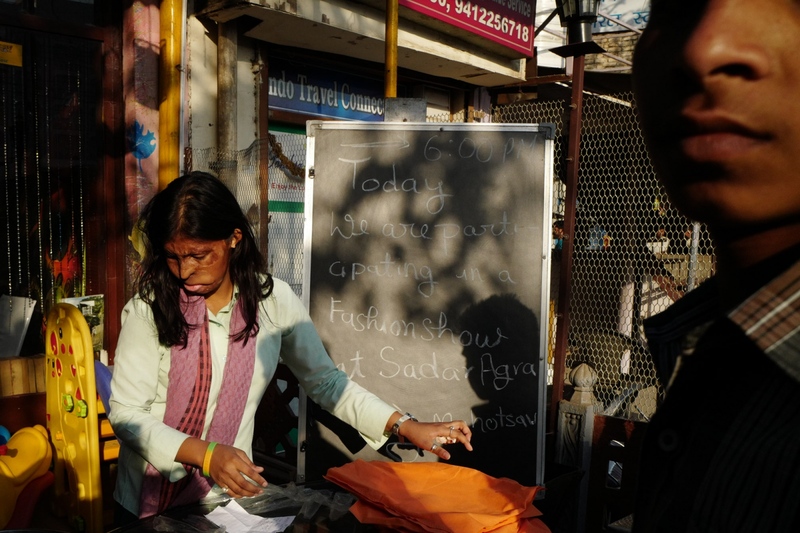 Rupa sewing before a night trip to Jodhpur, India. 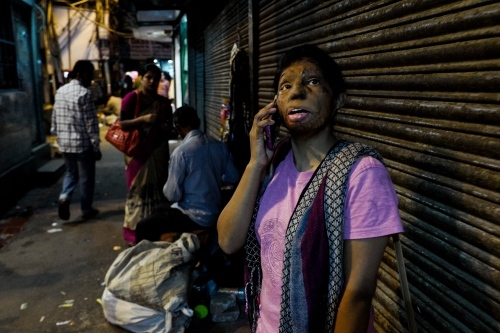 On the background, on the right side, her friend Laxsmi, another acid attack survivor. 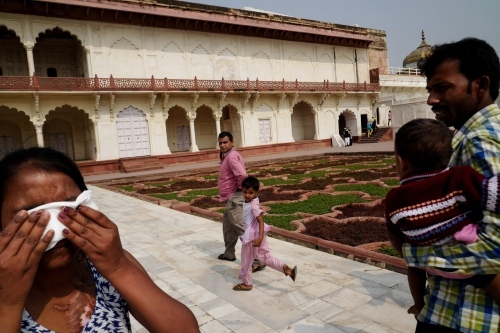 Agra, Uttar Pradesh, 08 November 2015, A detail of Rupa's eye. Agra, Uttar Pradesh, India. 04 November 2015. Gita (on the left) and her daughter Nitu posing for a portrait with Indrgit their husband and father. Gita is 45 and Nitu 24. Gita was only 24 years old when her husband Indrgit, a violent and alcoholic, attacked her out of jealousy. 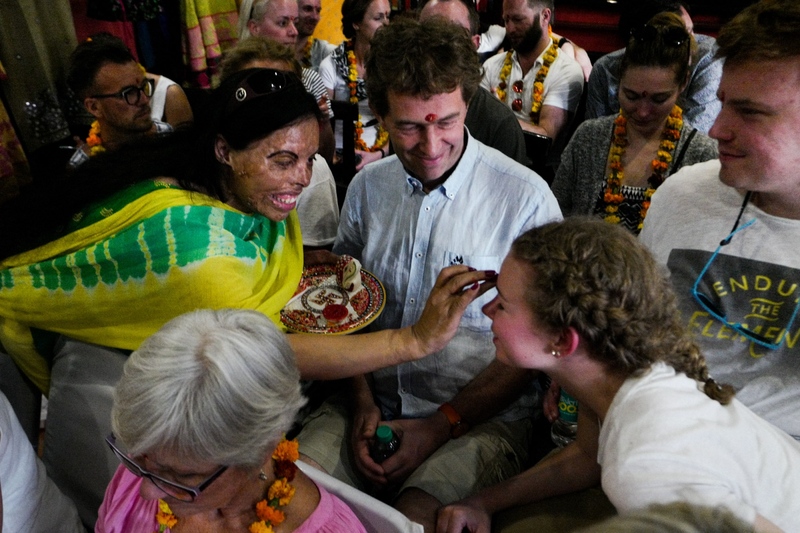 He threw acid at her, at Nitu and at Krishna, another daughter. Krishna died right after the attack, while Nitu, who was 3 years old back then, went almost completely blind. Indrgit was imprisoned, but after a while he asked for forgiveness. Gita forgave him and now they are still living together, sharing the same room. Gita and Nitu are both activist of the Stop acid attack association. 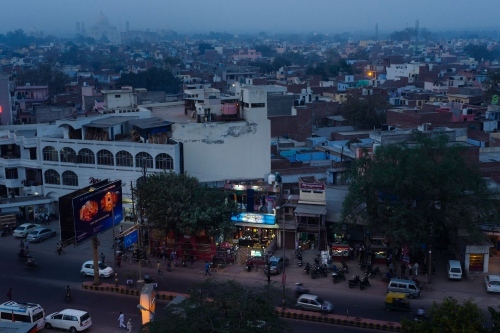 Agra, Uttar Pradesh, 30 october 2015. Ritu's packing her clothes in her luggage. Agra, Uttar Pradesh, 29 october 2015. Laxsmi, testimonial of the campaign “Stop Acid Attacks”, with her husband Alok, founder of the same Ngo. They are feeding Pihu, their child born in july 2015. Agra, Uttar Pradesh, 29 October 2015. A detail of the hands of Laxmi, the first survivor of the stop acid attack association. 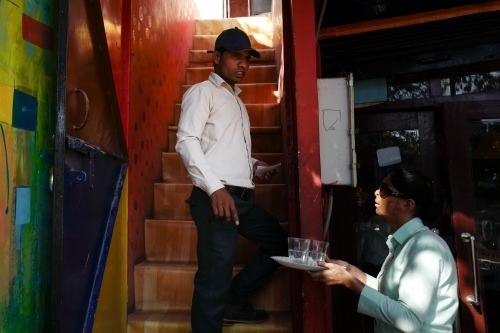 Agra, Uttar Pradesh, 24 February 2016, Rupa setting the table for the upcoming customers. Agra, Uttar Pradesh, India. 04 November 2015. 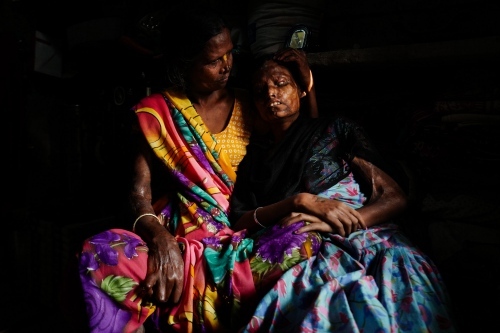 Gita, 45, on the left, holding her blind daughter Nitu, 24, posing for a portrait. 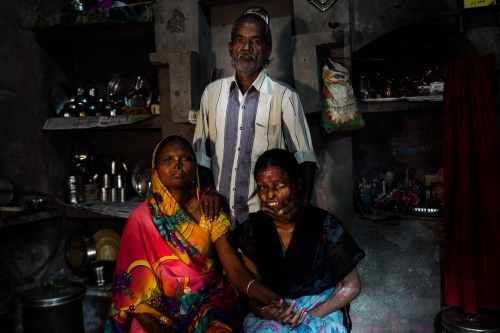 They are both victims of Gita's husband's, a violent and alcoholic who, out of jealousy, threw acid at his wife, at Nitu and at Krishna, another daughter of 1 year old. Krishna died right after the attack, while Nitu, who was 3 years old back then, went blind. Gita and Nitu are both activist of the Stop Acid Attack campaign, and they work at the Sheroes Hangout Cafè.